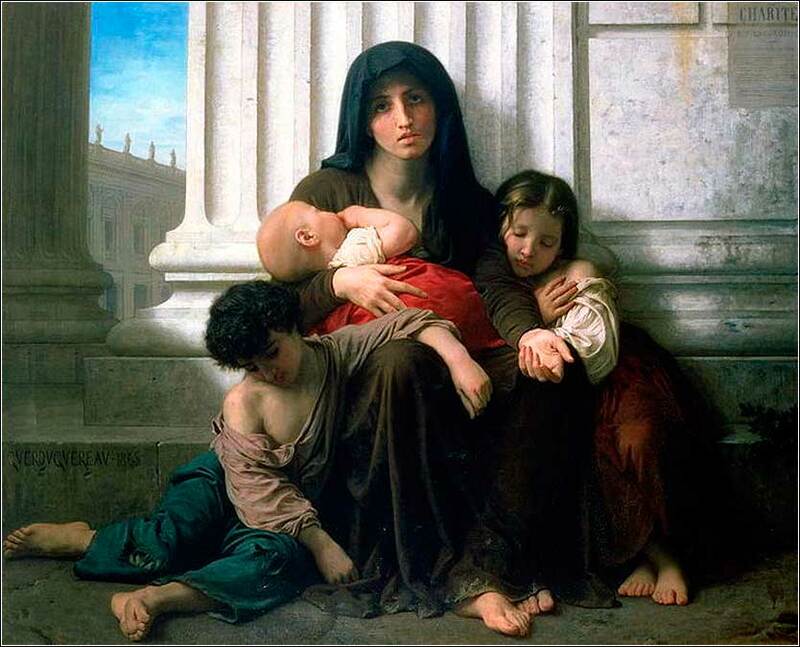 Charity or The Indigent Family, William-Adolphe Bouguereau ca. 1865. Jesus cried aloud: "Whoever believes in me believes not in me but in him who sent me. And whoever sees me sees him who sent me. I have come as light into the world, so that everyone who believes in me should not remain in the darkness. I do not judge anyone who hears my words and does not keep them, for I came not to judge the world, but to save the world. 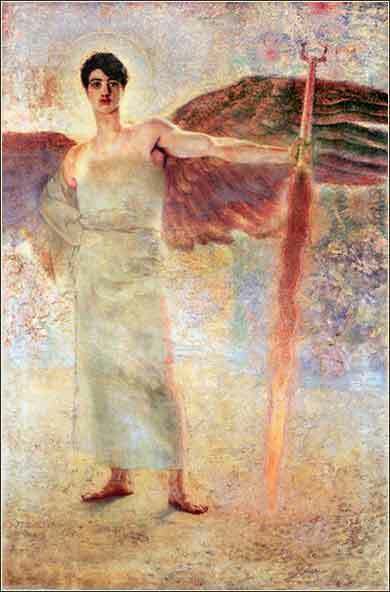 The one who rejects me and does not receive my word has a judge; on the last day the word that I have spoken will serve as judge, for I have not spoken on my own, but the Father who sent me has himself given me a commandment about what to say and what to speak. And I know that his commandment is eternal life. What I speak, therefore, I speak just as the Father has told me." One of the biggest criticisms of Christians and Christianity by non-Christians is that they are judgmental. People are very sensitive to perceived criticism, and it makes them defensive. And all too often, the criticism is justified. We are, after all, human. We get angry at people who do bad things and condemn them. Sometimes, we feel like we hate them. But Christians are not morally superior to anyone. If that sounds disturbing, let me repeat it: Christians are not morally superior to anyone. An attitude of moral superiority is diametrically opposite to Christ's teachings. When Christ says that he came to save, not to judge, it is because there was nothing for Him to judge. Everyone was "guilty". (Romans 3:23) Christ came to show us a way out, a way to avoid the darkness that every human faced at the time of death. He didn't come to criticize some people and not others; He came to tell us that we are all in the same boat. Murderer and holy man, street thug and honest hardworking mother, all of us have sinned. Being a better person is, hopefully, one effect of taking Christ into our hearts, but it is not the cornerstone of what it means to be a Christian. We cannot become perfect; we fall short of the glory of God, and all of us are doomed by our sin. So when Christ said, "I came not to judge the world, but to save the world," about all we can say in our favor is that we have been smart enough, or lucky enough, to accept the gift of grace that Christ brought to us. It does not make us morally superior to our neighbors who have not accepted the gift; and even more important, such a feeling of moral superiority is itself a grievous sin of pride. 2 Timothy 4:1-2: I solemnly charge you in the presence of God and of Christ Jesus: preach the word.